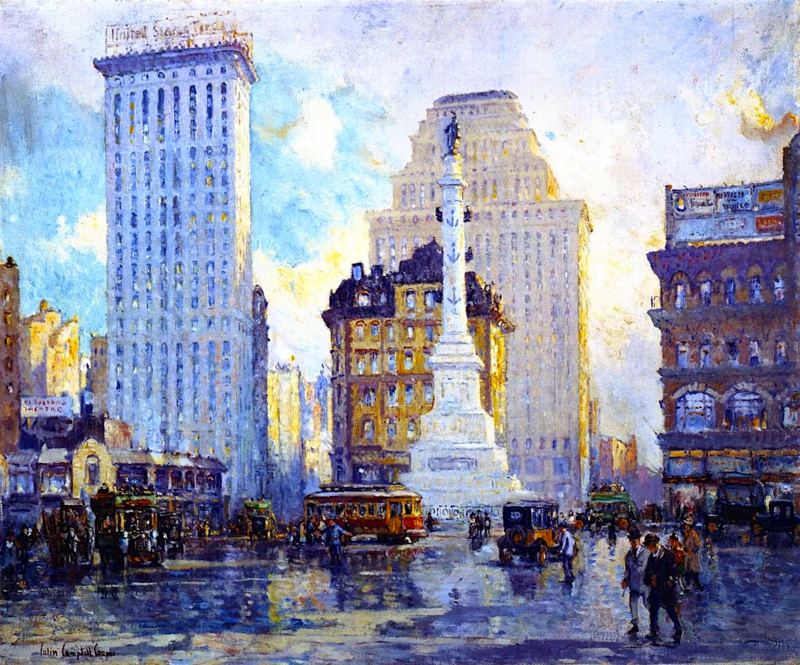 Since last week’s Columbus Circle painting turned out to mislabeled (it was actually Madison Square), I thought I’d make up for the error with this Impressionist kaleidoscope of the Circle, as it was called, by Colin Campbell Cooper. The streets look slicked with rain, giving them a soft, magical quality. But blue skies peek through the clouds, perhaps a nod to the magnificent early 20th century city.